Bright White Matt Cotton Inkjet Canvas 330gsm. This cotton rich canvas has a good canvas texture wit..
Matt Textured Polyester Cotton Inkjet Canvas 410gsm. This is a heavily textured, bright white, matt ..
Canon 9172A Water Resistant Art Inkjet Canvas 340gsm. 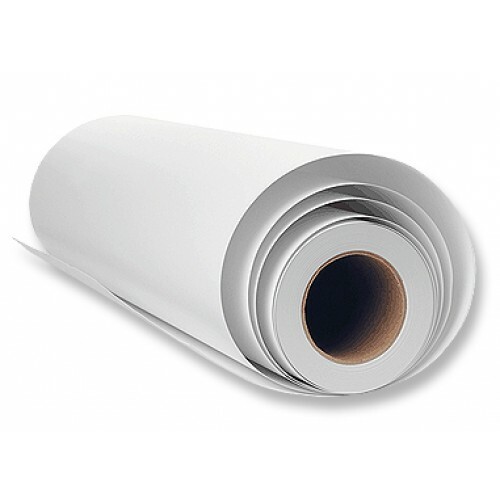 This 60% cotton 40% polyester water resistant ..
Our Universal Matt Polyester Inkjet Canvas Rolls in 260gsm weight allows you to produce affordable canvas artwork and it is also ideal for canvas effect banner prints. The longer length 30m roll is a time saving asset and enables you to produce long print runs without frequent roll changes. Although this is a lightweight canvas, it is still strong and can be stretched over a frame without cracking. We recommend this canvas for producing photographic and contemporary artwork due to the uniform weave and smooth texture and the bright, high white coating provides good colour contrast. For longer lasting canvas artwork with reduced fading, we recommend you use a pigment inkjet printer . The beauty of pigment inks is that they are waterproof and more resistant to UV light which causes colour deterioration and fading. If you require a sample of this canvas, or any canvas product within our range, or would like to discuss your artwork requirements, please call us on 01296 393700. Our knowledgeable team will be happy to advise on the best canvas for your artwork to enable you to achieve the results you are looking for. Universal Matt Polyester Inkjet Canvas 260gsm. Our 100% polyester canvas in a long 30m roll is ideal for producing low cost stretched canvas art. This canvas has a matt, bright white, medium textured coating for creating brilliant colour artwork and is strong but easy to stretch and fold without cracking. It can be lacquered or varnished and is suitable for use with all dye and pigment wide format inkjet plotters including Epson, HP and Canon large format inkjet printers.